ALBEMARLE COUNTY, Va. (WRIC) — The push to free convicted killer Jens Soering continued as the Virginia Parole Board held a hearing for him Tuesday. Germany’s ambassador Peter Wittig and its former president Christian Wulff were among those asking the board to let Soering return to Germany. For decades Soering has claimed his innocence after being convicted of brutally murdering his girlfriend Elizabeth Haysom’s parents in Lynchburg in 1985. Soering, the son of a German diplomat, says he made a false confession. Authorities maintain they have the right man, but in the past few months, independent investigations by former police officers, detectives, and DNA experts have claimed Soering is innocent. “I think the case today is so strong that with the evidence that we have Jens Soering would never have even been charged with murders, let alone been tried, let alone been convicted,” said Soering’s attorney Steven Rosenfield. 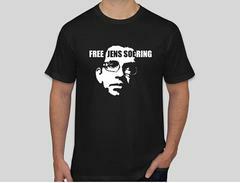 Rosenfield has been representing Soering for the past seven years, working to get him freed. Tuesday he got some serious back-up as Germany’s ambassador, along with its former president, attended a parole board hearing for Soering. “Never before in the history of the German embassy has an ambassador been present at a parole hearing,” said Rosenfield. “We are deeply convinced of the innocence of Jens Soering,” said Wittig. Ambassador Wittig says they believe DNA evidence exonerates Soering. They’re asking the parole board to return him to German custody. “We would assume full responsibility for his future in Germany,” said Wittig. It’s a request that’s been repeatedly denied in the past, but Rosenfield believes their case is just getting stronger. As for Soering himself, Rosenfield says he’s hopeful. “It’s a precious commodity, this notion of hope, but fortunately Jens has it, and that’s probably what’s most important,” said Rosenfield. 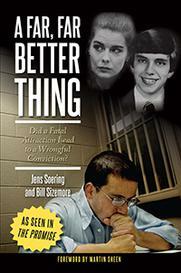 In addition to seeking parole Soering’s attorney has asked the governor for a pardon. The governor’s office says they have reviewed Soering’s case but have yet to investigate his latest petition, as they do so in the order that the requests are received.